This article contains a guide on how to play Support (SUPP) in League of Legends (LoL), including strategies, tips, and tricks. Support is often the most underappreciated, yet one of the most impactful role in League of Legends. 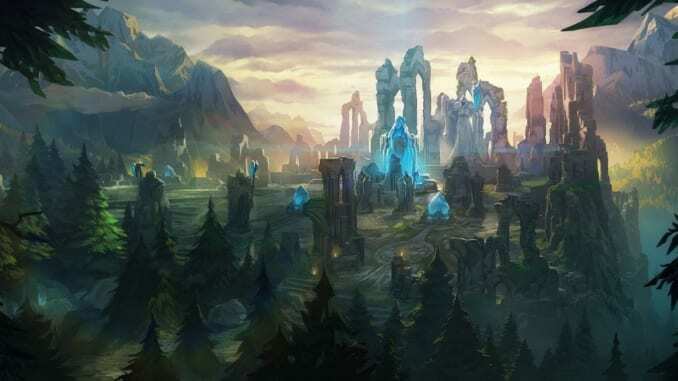 Unlike the other champions which focuses on dealing damage to the enemy champions, supports are the ones who are either soaking up all the damage in the frontline, or the one who is healing and peeling the carries in the backline. It is such a diverse role with a lot of game winning potential. There are many types of support to choose from. Some supports are good at initiating team fights while others are good at keeping their team mates alive. It is up to the player to decide on who to pick. Champions like Alistar and Thresh are tanky and excel at initiating, while champions like Soraka and Janna are the ones who are squishy and require to be at the backline to be effective. Laning phase usually gives you a clear idea on how you will fare in the late game. Bot lane is usually the go-to place for junglers. Expect a lot of early fighting in this lane. With this in mind, it’s best to rush Sightstone and a couple of control wards to assert vision dominance in the lane. It is also your responsibility to give the ADC the last hit as much as possible. A support should depend on his gold income item, and not take any CS from his ADC. These gold-income items like Relic Shield and Spellthief’s Edge have different conditions on how to get gold. Spellthief’s Edge, for example, gives you gold when you hit an enemy either with an auto-attack or a spell. Refer to the recommended items in the shop because most of the time it is right. Ask your ADC first on what type of laning phase he wants to have. Some ADCs are very aggressive, while others are very safe and tend to stick to farming until they get 1-2 core items. Communication is very important. Supports tend to build items that gives buffs to allies. Items like Redemption and Zeke’s Convergence can benefit your allies. Many support items have actives, so don’t forget to use it in team fights. In whatever build path you take, building Sightstone is one you cannot take away. The extra 3 stealth wards really help a lot in granting vision to otherwise important points in the map. Upgrading it to Ruby Sightstone can also be an option because it gives you an extra stealth ward. Mid game can be very taxing for supports because they have to make big plays to give every laner an advantage. Rotating in every lane and warding the enemy jungle can help the carries in surprising the enemy. Utilize the kit of your support in every lane. If you have a lot of crowd control, try to initiate team fights and ganks. If you are a backline-oriented champion, follow your team and wait for them to initiate. Stay with your team at all times especially in the late game because you are very vulnerable in this time. Many enemy champions already have their core build and can one shot you, especially if you are a squishy champion. Do not let them feed off you even tough you are just a support. Team fights are usually very intense at this the of the game and your only options here are to peel for your ADC and try to keep them alive.